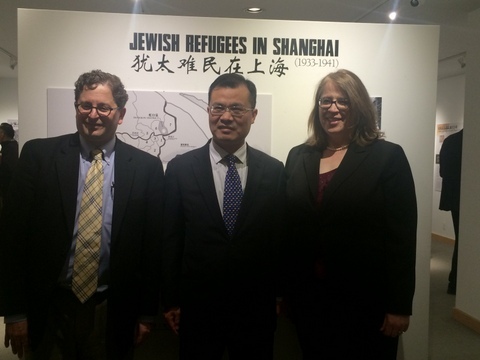 Consul General Zhao said that he had attended exhibits on Jewish Refugees in Shanghai on several occasions before and each time was deeply touched by the Jewish refugees' courage, determination and perseverance in pursuit of freedom and survival. 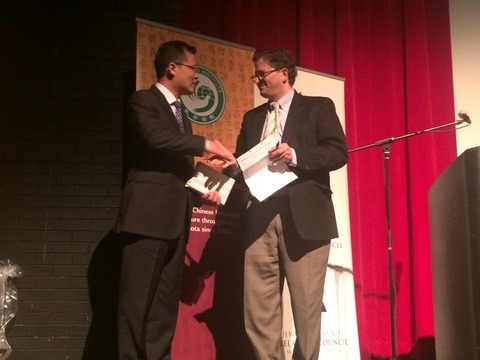 Expressing his pride in China's providing refuge for the Jewish people, Consul General Zhao emphasized that there were many moving stories about the friendship between the local Shanghainess and the Jewish refugees, from which, we can feel the beauty and warmth of humanity even in the darkness of those traumatic years. Consul General Zhao added that the exhibit, held at a special time as the world was celebrating the 70th anniversary of the victory of the Anti-Fascist War, will for sure help us revisit the lessons of the past and reflect on the importance of maintaining the lasting peace of the world. 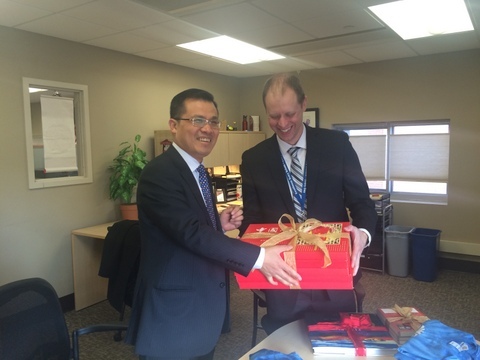 On the same day, Consul General Zhao visited classrooms of XinXing Academy, a Chinese immersion program of the Hopkins Public Schools in Minnesota, and met with Principal Paul Domer.